Bee d'Vine • BLACK American MADE - BAM! While driving through the last remaining parts of Ethiopia’s Kafa rainforest in 2009, conservationist Ayele Solomon had an idea that might help save them. Why not find a way to make trees more valuable to local residents so that they had an incentive to protect them – not cut them down. Inspired by his country’s national beverage t’ej (honey wine), Ayele realized that these flowering trees were an ideal source of nectar and pollen that bees use to make valuable honey. 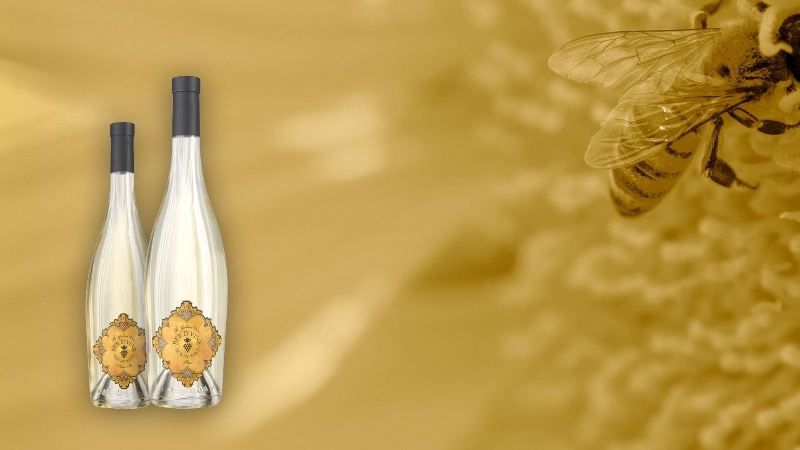 This set Ayele on a quest to better understand the art and business of creating honey wine. He evaluating production in Ethiopia and South Africa, but settled on the world-class wine region of Sonoma – not far from where he grew up – using California honey for the first varietals.